There is a big choice of access control equipment that is generally compatible with most leisure management software systems. Having a big choice can be a good thing as it allows you to get the mix of equipment just right for your project needs. At the same time, though, having a big choice can be a bad thing as it can get very hard to actually make that choice without having to study all of the differing equipment in great technical depth. And what the equipment manufacturers will never tell you in their brochures and on their websites is how well their kit actually performs when used by staff and members of the public on a daily basis. But we can. 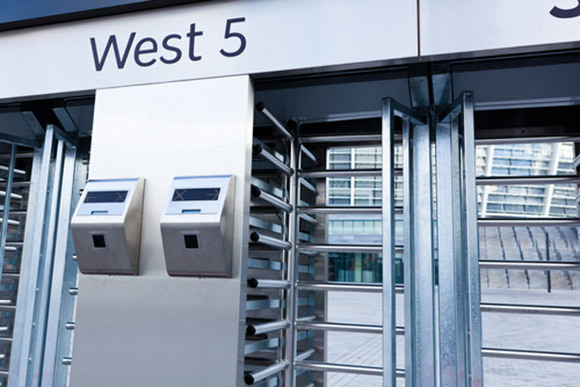 With our extensive practical experience of installing and maintaining access control equipment we can advise you on the difference between the suppliers, their designs and their build quality/ruggedness. Rather than waste time and money visiting a customer site on a maintenance call only to find that it is a simple cable fault or a system software issue, we have developed a clever piece of diagnostic software that we offer to all of our customers free of charge. The software allows us to tell immediately whether the fault lies with the access control equipment that we are responsible for maintaining … or not. This is just another example of how we use our extensive experience to improve the service that we can give to our customers. We offer a total service to leisure operators who want reliable and secure access control as part of their ongoing management strategy. All equipment supplied and installed by ourselves carries a 12-month warranty. Our customer portfolio reads like a Who’s Who of the commercial and not-for-profit leisure industries. Maintaining these customer relationships stands as a testament to the quality and affordability of our access control installation and maintenance services. Here is just an extract from our list ... Parkwood Leisure (80+ sites), LA Fitness (80+ sites), Greenwich Leisure (70+ sites), Serco Leisure (40+ sites), De Vere Group (40+ sites), Sefton Borough Council, Lancaster University, Surrey County Cricket Club, Hatton Health Club, Metro Fitness Stockport, Luton Active, University of Nottingham (6 sites).